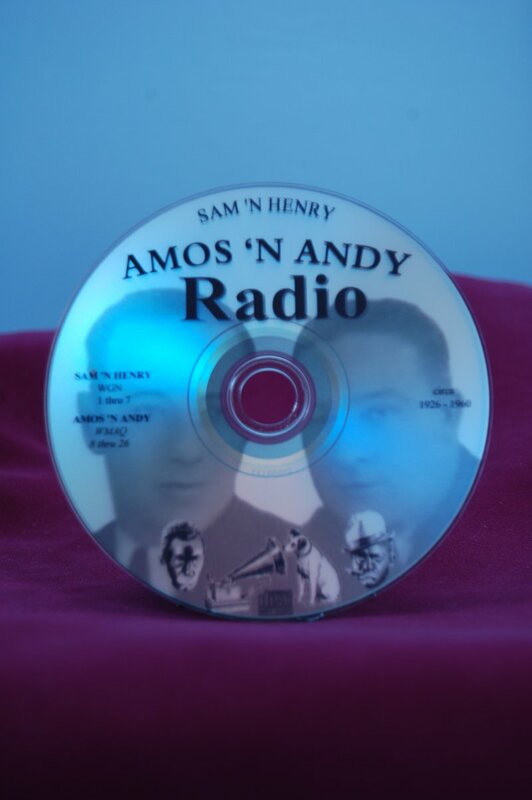 "Amos n Andy" Radio History CD, circa 1926-60. Includes broadcasts of "Sam and Henry," "Amos n Andy," and "Amos n Andy Music Hall." Historically selected episodes of "Sam and Henry" and "Amos n Andy" from 1926 including the last broadcast of "Amos n Andy" Music Hall in 1960. As great as the comedy is, my favorite parts are the musical guest stars! The advertising is also great and will remind you of just how different the world is today. Charles Correll and Freeman Gosden had the longest running series in American broadcast history, from its beginning as "Sam and Henry" to "Amos n Andy" and the "Amos n Andy Music Hall." Work would halt and movie theaters would actually stop the movie until "Amos n Andy" was over. It was an unequalled phenomenon in American entertainment history!